If you need a roof replacement in and around Dallas, a roof replacement in Richardson, or a roof replacement in Lewisville, Allen, Wylie, Plano, McKinney, or Frisco, Texas, you are definitely in the right place. Roofing & Remodeling of Dallas has built a reputation for top quality products installed perfectly by highly experienced roofing professionals. When you have been able to withstand the test of time, you must be doing something right, and we have been building our roof replacement business since 1990. The Better Business Bureau has given us an A+ Rating, and we enjoy continual growth through the many referrals that we receive from satisfied clients. It is very gratifying when people recommend us to their family members and friends because we take a lot of pride in our roof replacement work. As they say, a picture is worth 1000 words, and we invite you to visit our gallery to see examples of Dallas area roof replacement projects we have completed. We work with many individual homeowners that need roofing work done, and we provide roof repairs. However, sometimes a roof replacement is the only option. You can obtain many types of roofing systems from us, so you have total freedom of choice. Stylistic options abound, and there are different materials that can be utilized. 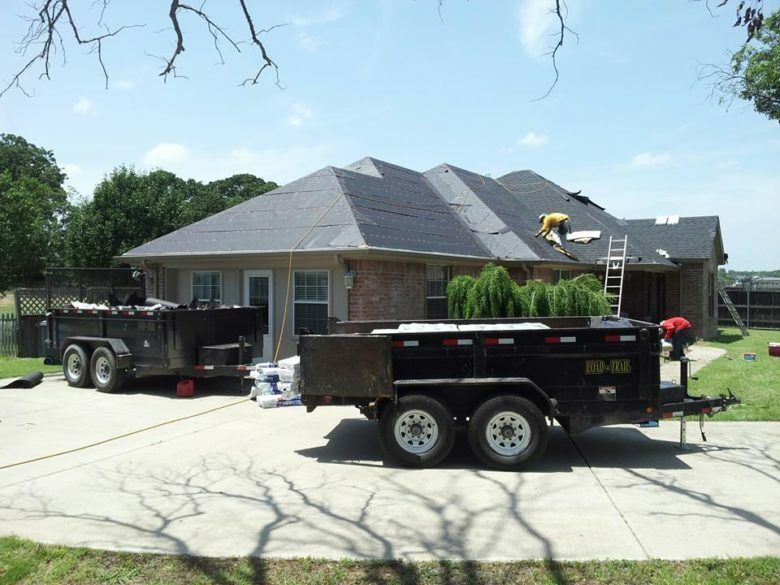 The products themselves are top-notch, and our roofers know exactly how to put these systems into place properly. In addition to the residential services that we provide, we also serve members of the business community. If you need a roof replacement for any type of commercial structure, we can satisfy your needs and exceed your expectations. Though our roofing systems are sourced from highly regarded industry leaders, we get good prices from our suppliers, and our clients are the ultimate beneficiaries. Contact Roofing & Remodeling of Dallas Right Now! You are naturally going to have a lot of questions if you are interested in a roof replacement, and we would be more than glad to provide you with answers. Our Dallas-McKinney-Plano roof replacement consultants are standing by, and you can reach one of them by phone at 972-231-7663. There is also a contact form on this website that you can use to send us a message if you would prefer to reach out electronically.